Electric Blue is an energetic ocean blue with marbelized swirls that make you feel like you're floating. The soothing color relieves stress and enhances your creativity! 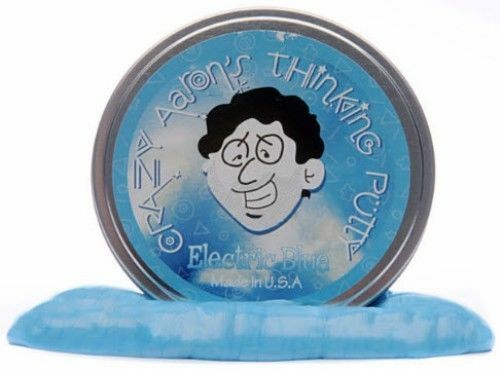 Crazy Aarons Electric Blue 4 Inch Thinking Putty.